Herausgeber: Kunz, Thomas, Ravi, S.S. 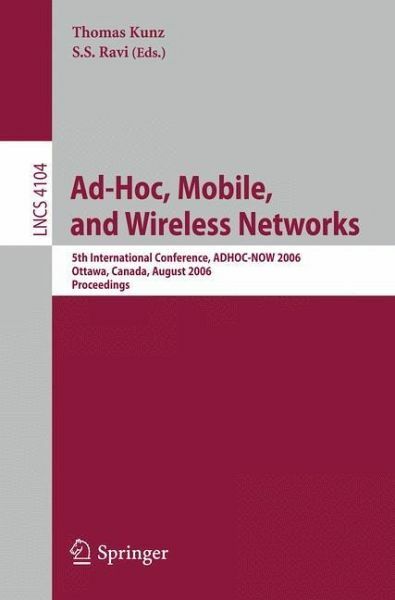 Here are the refereed proceedings of the 5th International Conference on Ad-Hoc Networks and Wireless, ADHOC-NOW 2006, held in Ottawa, Canada, August 2006. The book presents 25 revised full papers and 10 revised short papers together with abstracts of 2 invited talks, in sections on routing in sensor networks, Routing in MANET, short papers on routing, security, wireless MAC, short papers on security, QoS and TCP, and upper layer issues.